With a PhD in Air Transport Management from Cranfield University, Chrystal has developed her expertise throughout her years of industry experience working in both public and private sectors including governments, world-renowned aviation consultancy firms, and high education institutions worldwide. 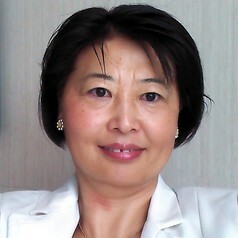 She has expertise in airline business models (full service carriers and low cost carriers), open skies and airline liberalisation, airport positioning and marketing and hubbing strategies, pilot licensing, air travellers behaviour and impact on safety and wellbeing, cabin safety, flight training, with specific hands-on competence in airline licensing, foreign investment in airline/airport industry, and route development. Before joining Swinburne in 2011, she was Director of Greater China of the Route Development Group Ltd (including both Routes and ASM, currently part of UBM), looking after the group’s business strategy and operation in Chinese market. She led the multicultural team to provide strategic advice to high-calibre clients of aviation and tourism industry and local governments. Prior to that, she was business development manager and consultant of Mango Aviation Partners, a boutique firm specialising in advising low cost start-ups. Before that, she worked for Civil Aviation Administration of China (CAAC) specialising in bilateral air service agreement negotiation and implementation, route licensing and airline alliances. She has tens of publications in high-impact refereed journals and has spoken widely at seminars and conferences. She appears often in Australia and Chinese media commenting on airline/airport strategic issues. She has been active in Aviation/Aerospace Australia (A/AA) since 2011 and is now an Executive Committee member of Women in Aviation/Aerospace Australia (WA/AA). She is a Board member of Agri-nomics Pty.